When are you thankful? Why are you thankful? How do you show your thankfulness? It is hard for me to be thankful when I think about what I want and wish. It is hard for me to say, “Thank you” when I feel like things are not going the way I expected or planned. But I am thankful when I think about God’s word to me, about God’s work for me and about God’s will in my life in Jesus Christ. I am thankful because God speaks to me in his word and invites me to his story of creation, redemption, and completion – where I find meaning, purpose and value of life. I am thankful because God finished the work of salvation through life, death, and resurrection of Jesus Christ – how I can find comfort and contentment in the midst of fear, failure, and frustrations. I am thankful because God shows his will in my life as I trust him daily for my needs as well as my wants and seek to obey him every day in all things as I follow Jesus. What are you thankful for today, this week, this month, or this year? 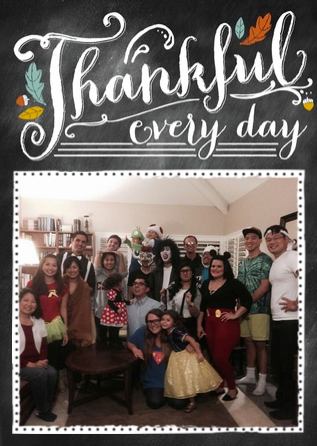 How would you show your thankfulness?